My first overseas holiday was with my family to Singapore. I loved it. The culture was amazing and the food was very exciting. Whilst in a food court at the bottom of one of the many shopping towers, my sister and I discovered kachang. We had wandered into an area of Singapore where our anglo heritage made us stand out like sore thumbs. 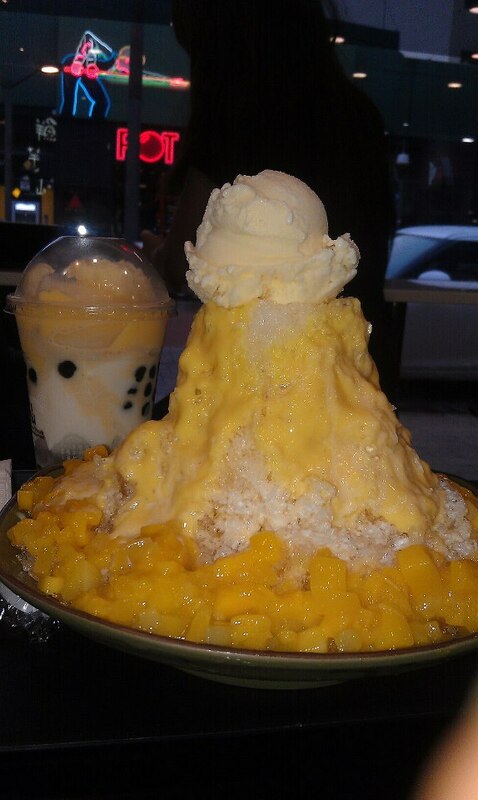 All eyes were on us when we sat down with our towering bowls of shaved ice. We soon learned why when my sister came to the bottom of her dessert. Red bean and corn is not what we expected from a sweet. A lot of laughs were had. Since then my sister and I have come to love Asian cuisine. My parent's have fostered this and every new year, Chinese that is, we go out for a big dinner. Perth has never lacked in Chinese restaurants, but it has lacked in the many diverse treats. 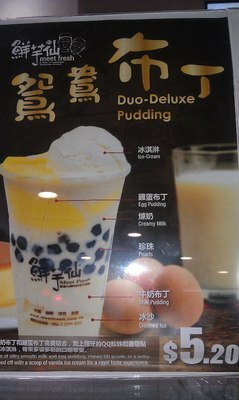 Meet Fresh is a fairly new store to open and is simply a must stop shop for a taste of traditional Taiwanese desserts. Located on one of Northbridge's main streets it is a perfect spot for a little treat. My father and I stopped in to give it a try and were delighted. First we tried the Duo Deluxe Pudding. Looks good right? Well it tasted great. It wasn't very sweet and despite all the pudding and milk it was quite light. A perfect treat for those on the go. We also made the mistake of ordering another dessert. The Supreme Mango Milk Crushed Ice is enough food to feed a small army. Incredibly delicious and sweet. If it's a hot summer's day, this is what you want. They also serve bowls of taro balls, tofu and herbal jelly which just smelt divine and were very popular with the Asian customers. I was most astonished by the tea which is served in large jars. They suggest having the tea with a big dollop or whipped cream. I had never seen that done before but I shall be trying it next time.